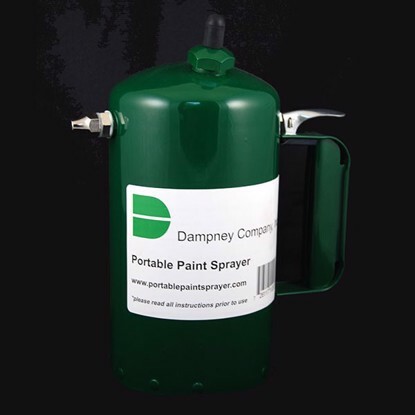 Dampney Portable Paint Sprayer. Refillable, reusable. Extra versatile. Pressurized by free air. Simply load with paint. Pressurize with an air chuck. And spray anywhere!